Laboratory based Antimicrobial Resistance Surveillance (AMR) was started in Nepal in 1999, with the aim of monitoring the resistance trend of selected bacterial pathogens. Trace source and spread of drug resistance. Provide susceptibility data to clinicians for directing treatment. Co-ordination of clinicians with laboratory personnel to benefit the patients. Detect emergence of resistance and monitor resistance patterns. Implement measures for prevention of AMR. National Public Health Laboratory (NPHL) acts as the focal centre of AMR. Co-ordinates with all the participating labs. Helps in capacity building of the labs. Conducts trainings and workshops to generate good manpower. Aids in the formulation of appropriate antibiotic policy guidelines. A total of 1539 isolates of Surveillance interest were reported in the year 2014 which included Salmonella (642, 41.7%%) followed by ESBL E. coli (574, 37.2%)Streptococcus pneumoniae (205, 13.3%) and MRSA (105.6.8%). Only 7 Haemophilus influenzae (70.45%) and 6 Shigella isolates (6, 0.38%) were reported in 2014...No isolate of Neisseria gonorrhoea and Vibrio cholerae was reported from AMR participating laboratories. 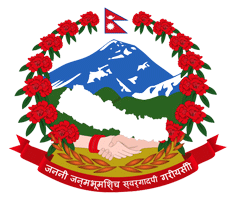 However, there was a diarrhoaeal outbreak in Rautahat district and Kathmandu valley. A total of 13 Vibrio isolates were reported from samples collected by EDCD from rautahat and from patients admitted to Sukraraj tropical hospital. Among the Salmonella isolates reported in 2014,418 (65%), 219 (34%) and 5 (1%) were S.typhi, S. paratyphi A and other Salmonella species respectively. S.paratyphi A isolates showed high resistance to Nalidixic acid (96%) as compared to S typhi (91%). Resistance is Ciprofloxacin is alarming.83% S. typhi and 88% Sparatyphi A are resistant to Ciprofloxacin. Salmonella isolates were most susceptible to Ceftriaxone(99%), Cotrimoxazole(98.5%) and Chloramphenicol (98.5%). Only 6 Shigella spp isolates were reported in the year 2014. The isolates were found to be resistant to Nalidixic acid (75%), Cotrimoxazole (66%), followed by Chloramphenicol (50%) and Ciprofloxacin(40%) and but 100% susceptible to Ceftriaxone. Since, only few isolates are reported, this result may not depict an Overall picture of infection and its treatment. A total of 13 isolates were reported from outbreak cases, 8 isolated from patients admitted to Sukraraj tropical hospital and 5 from outbreak samples received from Rautahat district. The isolates were 100% resistant to Nalidixic acid, Cotrimoxazole and Furazolidone, 79% against Ampicillin, 15% against Ciprofloxacin but Susceptible towards Tetracycline. Resistance to ceftriaxone also reached 23% in 2014. The isolates showed 68% resistance towards Cotrimoxazole followed Erythromycin (54%)Penicillin G(36%), Ciporofloxacin (32%).Isolates exhibited high susceptibility to Ceftriaxone (93%) and Chloramphenicol (96%). All isolates Were recovered from Sputum H.influenzae exhibited Cotrimoxazole(50%) and Ampicillin (57%) resistance. Isolates were susceptible to Ciprofloxacin, Erythromycin, Chloramphenicol and Ceftriaxone. Since only 6 isolates were reported this may not truly depict the overall pattern of resistance. A total of 574 ESBLECO), isolates were reported in the year 2014. ESBL E.coli were found to be susceptible to imipenem (98.5%) Amikacin(96.1%) followed by Nitrofurantoin (89.2%) and Chloramphenicol (90.8%).Combination drugs of B-lactam B-lactamase inhibiter like Cefeperazone/Sulbactam and Piperacillintazobactam also showed 48% and 13% resistance to ESBL producing E.coli. Drugs of carbapenem group like imipenem and meropenem has been reported as the gold standard in treatment of ESBLE.coli. But in 2014.82% isolates were resistant to meropenem.This raises concern in the use of carbapenems as last line therapy for treatment of ESBL-producers.